Tom Clancy's Ghost Recon Advanced Warfighter (GRAW) is the third installment in the popular Ghost Recon tactical shooter video game series, published by Ubisoft in 2006. 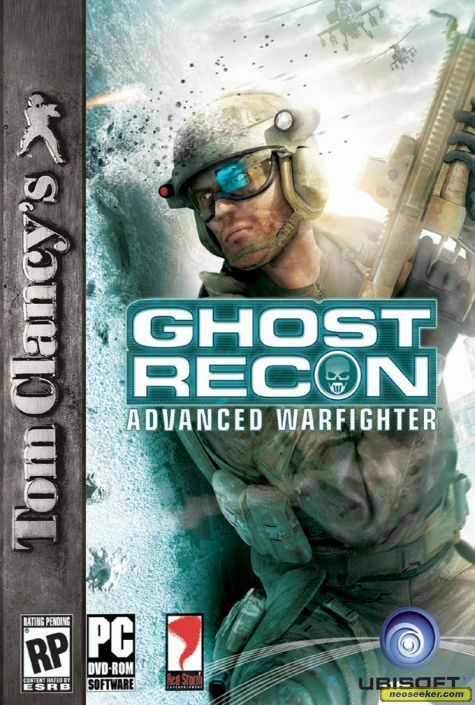 As in previous Ghost Recon games, players command their team of Ghosts while neutralizing hostile forces and completing various mission objectives. These objectives can range from escorting friendly units across the map to rescuing hostages or taking out enemy artillery.Being a tactical shooter, Advanced Warfighter places emphasis on using cover effectively in order to stay alive, together with sound strategic co-ordination to successfully complete mission objectives. A new feature is the Integrated Warfighter System, a system based upon the Future Force Warrior program.Tom Clancy's Ghost Recon Advanced Warfighter 2, the game's direct sequel, was released a year later, in 2007. Ghost Recon: Advanced Warfighter is slightly unusual in that there are three versions of the game for four different platforms, with minor varied storyline/missions. The PS2 and Xbox versions are essentially the same title, while the Xbox 360 and the Windows versions stand on their own. Gameplay emphasis is placed upon the player to do the bulk of the fighting while AI teammates tag along. The player controls a single squad of soldiers, but only directly controls the squad leader. However, the player can issue commands to the AI-controlled team members to maneuver them indirectly.Combat in Ghost Recon: Advanced Warfighter is more forgiving than previous games in the series. Players can often survive several bullet hits before dying, instead of dying after only a couple of shots like in the original Ghost Recon series. However, players are unable to heal their health in the middle of a mission, and a single headshot or a sustained burst of assault rifle fire can kill the player instantly, so the game still relies more on tactical combat rather than arcade run-and-gun shooting.